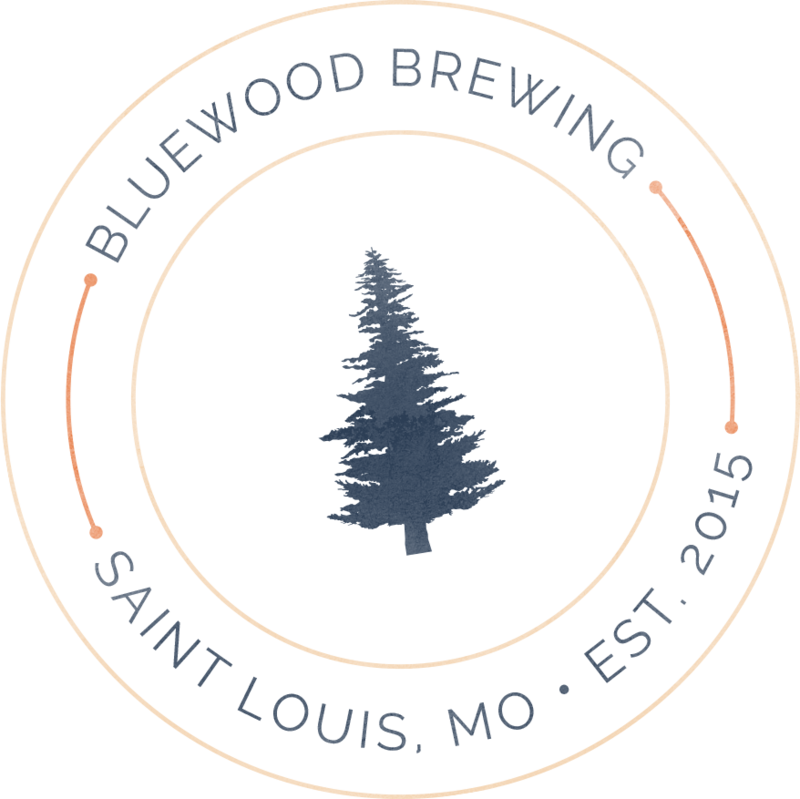 Bluewood Brewing is new to the St. Louis beer scene, but we're already making a name for ourselves. Our first public showing resulted in a 1st place victory with our award-winning Proprietor’s 4th Anniversary Stout, taking an overwhelming vote from the crowd to further solidify our love for stouts! On a warm fall evening Bluewood Brewing debuted several new beers including a crowd favorite Dancing with the Pumpkin King, which helped earn a landslide win for the Young Friend’s Cup against nearly 30 of the St. Louis area’s favorite breweries. Our award-winning brewers push the limits of the art of brewing. Help share our biggest accomplishments with the greatest beer scene in the world! A vibrant IPA modeled after the West Coast explosion that started it all, packed full of cascade, amarillo, simcoe, and warrior hops. A bold breakfast stout filled with creamy flaked oats in the mash, featuring various local roasters from the St. Louis area! Once a porter, this ale has transformed into a tropical Cascadian black ale and receives aging on chunks of pineapple and mango. A rich & chocolatey oatmeal stout pumped full of real peanuts for a chewy peanut butter stout! Traditional Bavarian hefeweizen with a balanced aroma and taste of cloves, banana, and light bubblegum. An imperial amber ale brewed with organic pumpkins in the mash which is then fermented and aged on various fall spices including cinnamon, cloves, allspice and vanilla beans. A celebration of our anniversary of brewing beginning October 12th, 2012, this imperial breakfast stout. A dry & crisp farmhouse ale bursting with citrus notes after aging on whole coriander seeds and zested lime. A rich spice-filled winter warmer beaming with warm alcohol notes and smooth vanilla, cinnamon, and cloves. Leviathan is our staple Russian imperial stout brewed usually once a year. This massive stout is filled with deep coffee notes, bitter chocolate, English hops and dark fruits. A feat in yeast fermentation, Testify is an enormous quadruple IPA (yes we made that up) with pounds and pounds of West Coast hops balanced with a natural heat and sweetness of a beer that exceeds 20% ABV. Tasting notes of stone fruits, candied sugar, gold tequila, and orange marmalade. While most of the Bluewood products start as a very rich and complex beer, many gain much deeper complexities through the art of barrel-aging. By aging in wooden spirit barrels, flavor impartment and natural phenomena occur over the duration of aging from oxidation, wood toasting, and natural oak tannins. Much like Barrel-Aged Leviathan, this beer is essentially the same recipe turned up to 11 and then some! This warrior of a stout may just be the only way to kill the Leviathan. A truly evil dessert stout, Beheading Leviathan is warm to the taste with a chewy and velvety mouthfeel, exploding with vanilla and coffee beans. Barrely Legal (a play on the word barrel for those wondering how to pronounce) is a bright blonde ale which is then soured for more than a year in chardonnay barrels. While in the barrel, two additions of peaches are made to provide a tart explosion of juiciness. This American wild ale is aged in whiskey barrels with wild yeasts and bacteria for 14 months to promote a vivid tartness with a bit of funk with juicy body thanks to a second fermentation with the addition of raspberry puree! We believe St. Louis has one of the best beer scenes in the world. We’re proud to call it home – soon we’ll be opening our doors and can’t wait to see you here. The name “Bluewood Brewing” is derived from nicknames for the college homes of its brewers – one called “Ol' Blue” and the other known as “Plywood.” The brewers formed a lot of memories here and found their love of craft beer. Before establishing Bluewood, Cameron Lund founded Bray Avenue Brew Co. on October 12th, 2012 in Rolla, MO. In this home grown operation he had only 1/6 bbl capacity, and continued to operate at that production capacity into 2018. To commemorate this experience, Bluewood celebrates its anniversary on Oct. 12th each year. As Bluewood grows, we'll continue to push the limits of the art and science behind our beers. We look forward to serving you. Grab a pint with us! Find us at an upcoming event.